Puneet Sikand founded the Kitchen Art Co. (TKAC) with a vision to revolutionize the culinary landscape in the country. He created this company after over two decades of work experience as a renowned master chef. Over the years, he won many accolades and awards from five star hotels in India and haute cuisine locations in London and Ireland. Puneet was also awarded the distinguished medal of honour from the Indian National Culinary Federation. Over twenty years ago, Puneet took his expertise and turned it into this Delhi-based premium catering company, TKAC. His initiative was to satiate all six senses by bringing palatable cuisines, at your doorstep. His efforts have crossed boundaries and have whipped up a global gastronomic odyssey in many part of the country. Under Puneet's leadership, TKAC is recognized for its opulent gourmet artistry. An influencer of haute cuisine, his oeuvre is to cook scrumptious treats by playfully molding local cuisines with an international zing. 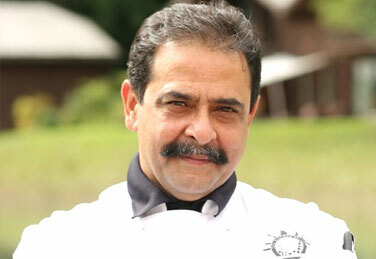 He has successfully recreated cuisines ranging from luscious Kashmiri to delectable dishes from Kerela. Every dish at TKAC is customized with an effort to reshape the spirit of the cuisine, to leave you with the ultimate sensorial experience and give you a new taste for life. TKAC has taken the understanding of "The Art of Fine Dining" to a new paradigm. It provides true 5 star ambience in the field of outdoor catering. Food is an art form at TKAC. The company aims to attain the perfection of this art form through hard work, persistence, determination to excel, extensive training and experience.